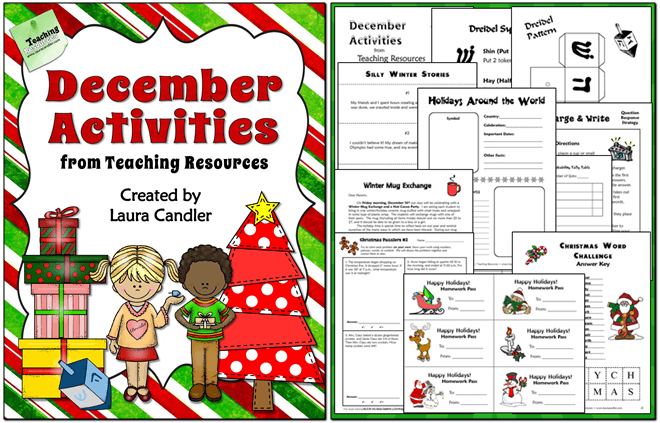 Click the link to preview the December Activities for Upper Elementary. 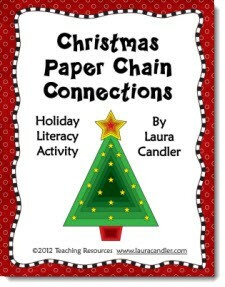 You’ll find all of the activities listed below, including a recipe for how to make a sugar cone Christmas tree and reading comprehension questions to go with the activity. Penguin Fractions Make Fractions Fun! Common Core Aligned Fraction Resources that Kids Love! 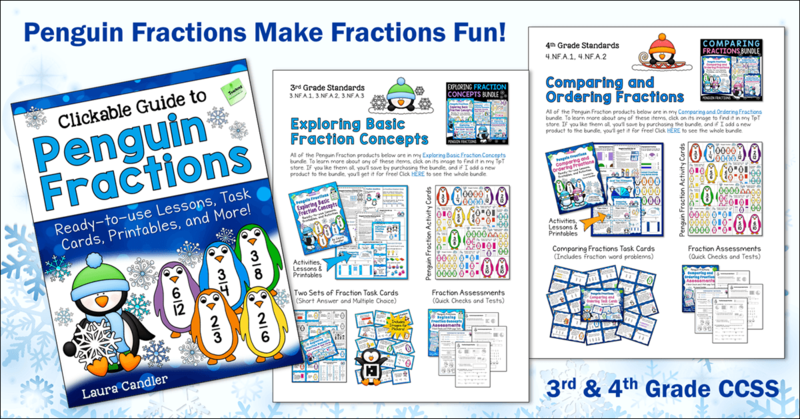 Penguin Fraction activities make learning fractions easy and fun! The lessons are based on a set of unique activity cards that have penguin fractions in number form on one side and the corresponding fraction bars on the other. 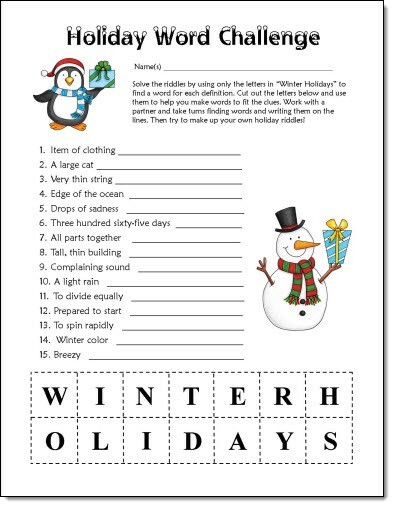 You’ll find engaging lessons with step-by-step directions, partner games, math center activities, task cards, and tests. Download this clickable guide to learn more. 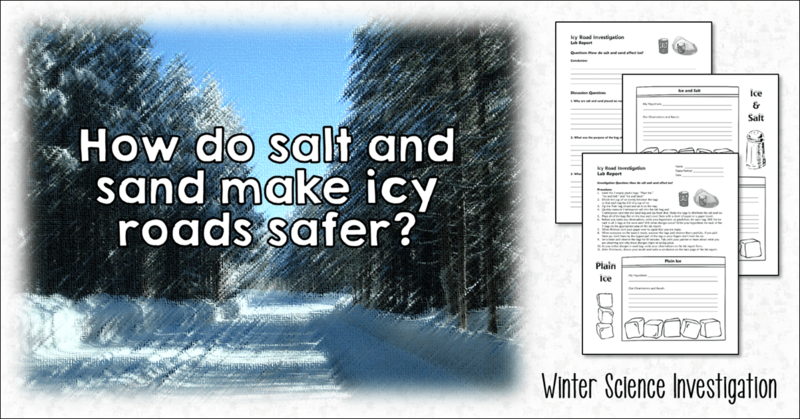 Head over to my blog to learn more about this fun, hands-on, winter science lesson, or click here to find the Icy Road Investigation in my TpT Store. 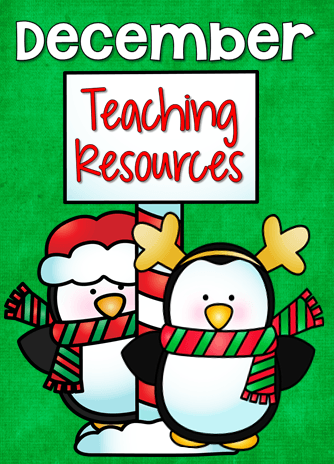 Awesome freebies and resources for elementary educators! 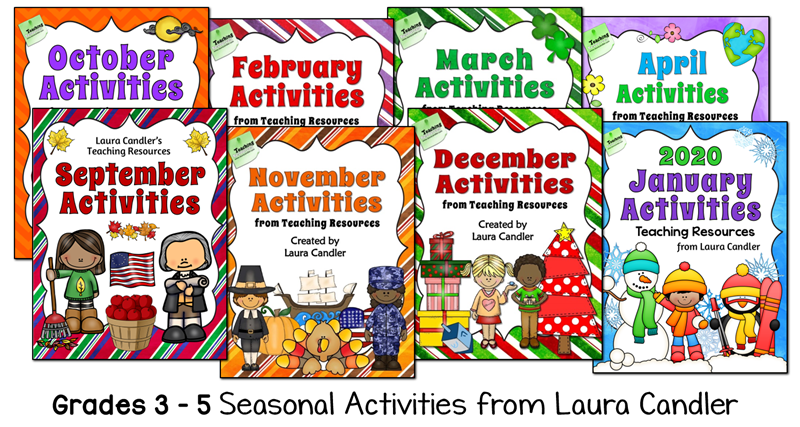 Seasonal activities add a bit of fun to your math, literacy, science, and social studies curriculum! 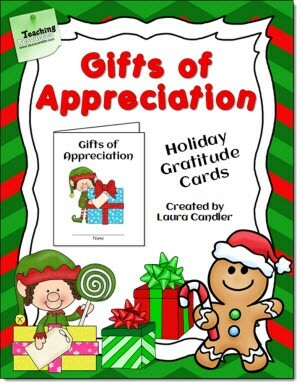 Purchase all seven Seasonal Activity Packs for one low price and get the Mystery Seasonal Words as a free bonus!